As a keen self-taught pianist I’m always excited to find innovative new web sites or apps that try to help you learn piano. I’ve written previously about OnlinePianist, which recently launched a more slick and powerful version of their interactive tutorial app. 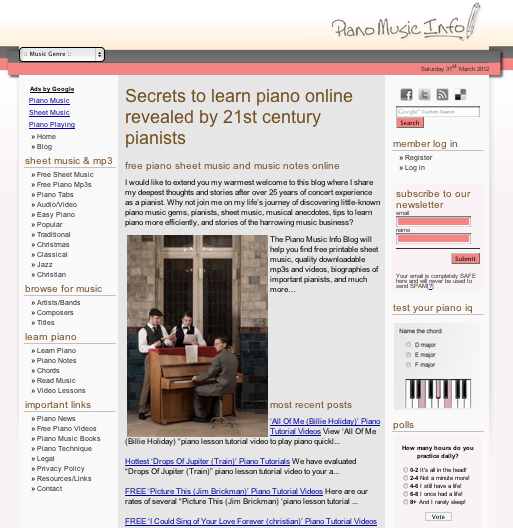 Another richly rewarding site is freepianomusic.org. I must confess that at first my web developer brain saw the SEO-friendly domain name and site content, lots of mention of free material and free sheet music, and Google Ads embedded here and there and was a little suspicious… There are so many junk sites out there just trying to drive traffic and earn advertising revenue (especially in the area of guitar tab and sheet music) that the jaded skeptic in me suspected this might just be another of those. I was pleasantly surprised though to discover that there’s valuable content here. Though the category links in the sidebar may give the impression the site is a treasure trove of free sheet music in fact it’s more of a ‘jumping off point’, with most of the sheet music pages linking out to online stores to purchase the actual downloads. There is however a lot of guidance and information provided, along with useful links to other resources (including the superb free book Fundamentals of Piano Practice). I enjoyed taking the “Piano IQ Quiz”, learning a little something about Percy Mayfield and Grieg along the way. Hopefully more interactive elements will be added in future! 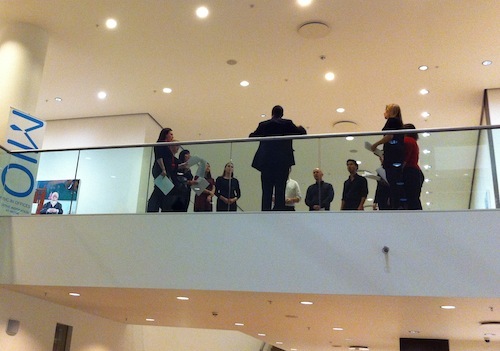 This is one of a number of posts on the London A Cappella Festival 2012. You can also read more about Saturday’s events and several other posts about the festival! After some interesting workshops in the morning, a fun barbershop concert, a fascinating discussion on music education and panel session, Saturday finished the festival strong – with two superb final concerts. 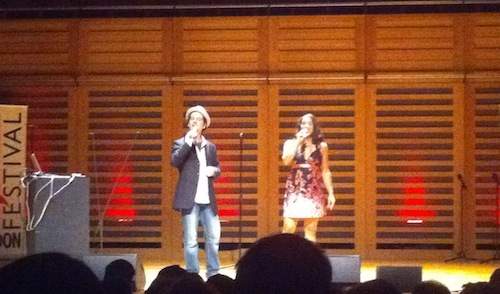 The first concert was the London Vocal Project, who were supported by FreePlay Duo: a collaboration between Dylan Bell (formerly of Cadence) and Suba Sankaran (whose bio is too vast and varied to squeeze into parentheses). They performed just four songs: two using live looping (the pair had run the live looping workshop earlier in the day) to layer sound upon sound, and two performed directly. As befit the festival, all sounds were created live with the human voice – but the variety of timbres and textures created was truly impressive. The last few years have seen a sharp increase in people’s interest in singing. From X-Factor and Pop Idol, to SingStar and Rock Band, to High School Musical and Glee, it’s clear there is massive public interest in singing and vocal groups. Unfortunately it seems so far like the message of each of those franchises is centered squarely on celebrityism and pop star success – rather than developing real musical ability. Can this widespread enthusiasm be harnessed to really drive music education forwards and encourage a new generation of truly talented musicians to emerge? This week the London A Cappella Festival is held at Kings Place, curated by The Swingle Singers and Ikon Arts Management. Why use a cappella for music education? What areas of teaching music could a cappella be relevant to? What specific benefits are there to using a cappella music for teaching? Why isn’t it already more used? How has it been used? Any successful experiences? How can technology bolster a cappella in music ed? What can we do to accelerate music education using a cappella music? What potential collaborations between music ed. professionals/companies and a cappella groups are there? The discussion will be open to everyone, and we’re hoping we might even entice a few of the festival performers to join us. Details of time and location will be announced later this week, but the discussion will be at Kings Place during the day on Saturday and run for 30-40 minutes. UPDATE: The discussion will take place in The Wenlock Room of Kings Place, from 14:50-15:30 on Saturday 14th. Help spread the word using the social media buttons below, or by linking to this post and using hashtag #LACFextra. If you’re not currently planning on attending LACF2012… Why not? Read a bit about last year’s festival and change your mind! Sincere thanks to Jessica from Ikon Arts for supporting this LACFextra event.